Thankfully, owner requests for front-declaws at our practice are at all-time lows. (I say “thankfully” because as you will read below, declawing is not as benign as once presumed). However, these past few weeks we have had several calls from concerned pet owners. Some questions and frustrations were about kittens, others were about new cats introduced into a household, and there was even one call recently regarding a six year old cat who abruptly started clawing the corner of a sitting chair. Therefore, I have decided to put in writing as much material as I can regarding the concerns of the declaw procedure and the concerns of a destructive cat. I hope that this material may serve as a reference and be shared with anyone who cares about helping cats and their owners with matters like this. 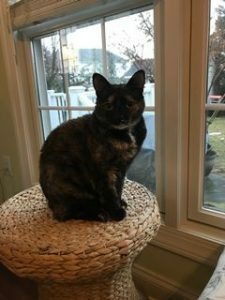 When I see cat patients in the exam rooms at Belle Mead Animal Hospital (BMAH), I believe that it is important to spend a great deal of time with these owners discussing this topic because they love their cats dearly, and they are struggling to find a long-term solution. When considering declawing, please remember that your veterinarian is the best trained person to help you with these decisions. Secondly, don’t feel pressured or rushed into a decision you might regret. Thirdly, before getting a cat, have a plan that starts with patience and preparation. Be open minded and active in your cat’s training, especially until kittens have gone through their wild kitten stages. There are 7 points below in this article that will help you through this training and should be a part of everyone’s action plan. What is declawing? Does is hurt my cat? Feline front-declawing is not just surgically removing the nail, as most people assume. The nail is intimately attached to the last bone in a cat’s toe. It is therefore the equivalent of amputating a person’s finger at the last joint of every finger – which would mean 10 separate amputations! 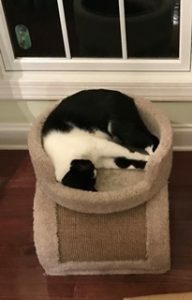 Years ago when front declawing was a more common practice and pain management was in its infancy, the myth was that cats didn’t feel pain like people do. We now know that cats often do not show their pain, but that they certainly feel physical pain like humans. Unfortunately, cats react and express pain in very different ways from us. Therefore, their pain can go unnoticed or neglected. Some of the most common symptoms of pain in cats can include hiding, eating less, and subtle changes in their normal personalities and routines. Behavior changes like eating more than usual or less than usual and also seeming more active (restless) or less active (sleeping more) can be pain, discomfort, and/or waves of not feeling well that wax and wane. So as you can see, it can be very complicated to interpret a cat’s behavior. Please do not assume that just because your cat is not crying or limping that he or she is not in pain. Cats are “silent sufferers” and the orphan species of diagnostic work-ups and pain management. We at BMAH, believe in changing this one cat and one pet owner at a time. We are committed to building an awareness through honest and open communication and education. So again we need to remind everyone that declawing, even under the best circumstances and the highest standards of pain management, still leaves undeniable and unpredictable risks. Some risks are short-term and others can be long-term physical and/or emotional issues. This explains the recent movement to ban the practice, as is already the case in the UK and California. Also, laser declaw surgery does not eliminate risks, and in fact, in the wrong hands, can result in an even worse outcome. We at BMAH will always treat our patients and owners with honesty and the best veterinary medical care and pain management. Declawing should be a last resort that pet owners must understand completely before undertaking this irreversible and painful procedure. What should I try before I consider declawing? Please remember that it is normal cat behavior to go around marking and scratching your home immediately. This is what their natural instincts tell them to do. Scratching is normal behavior necessary to maintain normal claw motion. We are cat owners too, and we understand that this behavior may damage your furniture. 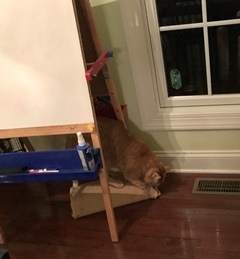 Furthermore, those cats especially in new homes or with new furniture feel the need to leave markers of his or her scent. However, with a little time and patience you will be able to minimize and potentially even stop these behaviors with a few smart training tips and tools. 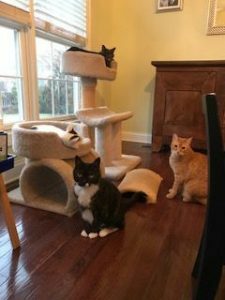 If you are considering adopting or obtaining a new cat, we at BMAH recommend that you purchase a few things ahead of time (especially with new kittens). Preparation is ideal, but it is not too late to go out to your local pet store now and get supplies. Amwell Pet Supply in Hillsborough on Route 206 is a great local business that has many of the things you will need. We encourage you to try this store because they also help support feline-focused animal rescue in our community. 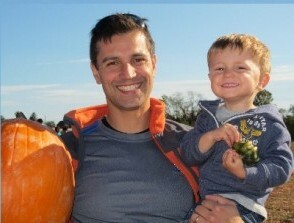 specific size and color preferences. Placement of the scratchers is critical. 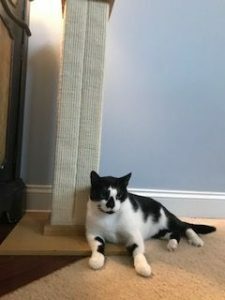 Cats like to stretch and scratch when they wake up, so you can place some small portable sisal boards or cardboard boxes near a few of the places where your cat sleeps. If your cat sleeps in your bedroom or near a couch, place it on the floor by the corner of the bed or couch. Your cat needs to scratch – we just need to get your cat in the good habit of scratching on cat appropriate areas and make other areas less desirable until your cat has its established marked areas with its own scent. 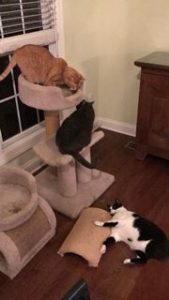 Feliway an amazing and affordable synthetic pheromone that both makes cats happy and helps them avoid scratching specific things like couches and furniture. French scientists years ago discovered that there are scents on cats’ faces and paws that make cats want to rub their faces, bodies and claws on people and things. Feliway is a natural pheromone (scent) in a handy little spray bottle. It can be used on or near anything you deem valuable and neutralizes it immediately so that your cat does not feel the need to mark it with his or her front claws. It also comes as wipes, plug-in diffusers to help create large neutral “happy areas,” or pheromone collars for cats who are scratching, scared, hiding, fighting, in pain, or urine spraying. If your cat is scratching now, go out and get this! It’s easy to apply and safe for furniture, drapes, carpets, stereo speakers, counter tops, etc. You just need to use this temporarily for a few weeks until your cat figures out – I don’t like this sticky new couch corner – let me go scratch on my cool post or pad that already has my scent. Living in a home with 7 wonderful cats – I personally take out the Feliway neutralizing spray and Sticky Paws whenever I get “new” furniture and put it on all the corners of my new furniture just for a few weeks so my cats don’t feel the temptation to mark it because of its novelty. It’s a good idea to start teaching kittens how to get comfortable with nail trims. At home, it should never be a rushed or stressful experience. Please go out of your way to play with kittens daily around the perches. Use laser pointers and other things like catnip, toys or toy wands with feathers. Make it a daily a.m. and p.m. routine with kittens, but especially early nights and weekends when you have the time. Your kitten will have less of these wild kitten behaviors if they have your routine to look forward to. Make time with your new pet to encourage healthy positive play, scratching and teething on objects that are appropriate. Try to get in the habit of not using your hands to play. Anticipate that your cat may try to jump and claw at inappropriate things and redirect with an extension of yourself like a laser or cat wand. Again, do not use your hands to play rough with kittens, and don’t let them teeth you. Wait until after 6 months when teething is calming down. Use a long wand or thicker catnip infused toys for kittens to grab, claw, and teeth on. Do not attempt to trim nails right after getting your cat wild and excited either. Wait at least 20-40 minutes after play when your cat is calm to try and gently touch one nail or two at a time. You may want to wait until your cat is really relaxed. Be smart and pick these times wisely. Be patient, be kind, and have fun. When you are ready, use a feline specific nail trimmer that won’t splinter the nails, and just touch or trim the tips of the nails at first. Breathe and don’t be tense. Cats respond to your energy. Your cat will be more relaxed if you are confident and relaxed. Remember, every cat is different. 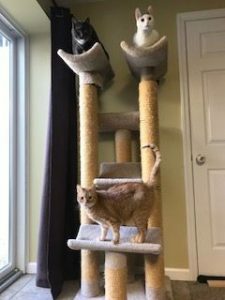 Indoor cats that are trained to actively use their scratching posts might only need a nail trim once a year with their annual wellness veterinary exam. Some other cats may need it done every 3-6 months as adults. All kittens benefit from nail trims every 3-4 weeks when they are getting their kitten series at the vet’s office. This is a great time to learn, watch and ask your vet questions about how to trim nails and discuss these issues. Have questions? Ask us at BMAH for a demonstration or advice. For kittens or cats that are resistant or aggressive, they can have their nails trimmed at the veterinarian’s office. Feliscratch is the new synthetic natural pheromone from cats’ paws in a bottle. It has a visually cat attractive blue colorant also that signals and redirects cats onto using scratching posts. 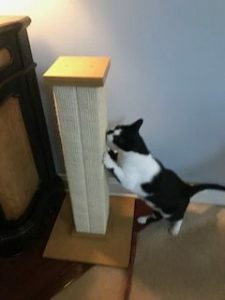 This is great for cats whose owners say they have scratching posts but their cats will not use them. Be warned – the blue color can be permanent so do not use this on your furniture, but do use it on your more disposable or less valuable scratching posts and pads for training. I do not recommend these nail caps. Cats do not like them and they are frustrating for everyone involved. 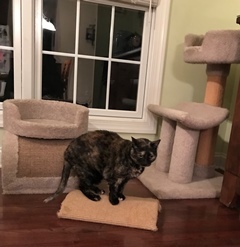 We have touched upon this, but being active in welcoming and enriching your cat’s home is critical in teaching your cat how to scratch on appropriate objects and not develop other behavioral issues as well. Kittens and cats have energy and they get bored. They need more than just food, water, and litter boxes that are sifted twice daily. Cats need enrichment. They need an active, creative, personal pet trainer and pet advocate. Will BMAH declaw my cat in some situations? Yes, but at BMAH we will not declaw any cat until we have exhausted all other alternatives. There are special circumstances and medical conditions where humans sharing the home can be harmed by even the smallest accidental scratches. Therefore, we will help these families who honestly feel that they have tried everything else. In these few, rare cases, declawing might be a better option than confining their cat for life or taking it to a shelter. Declawing surgical procedures requires general anesthesia, multimodal pain management, and hospitalization for 2-3 nights before cats can be discharged home. These cats will require owners to confine their cats to small rooms, use paper litter, and give oral pain meds for 14 days. The surgical procedure exposes all cats to risks of bleeding, infection, limping, and nerve damage. If there are no obvious complications cats, usually hold up their paws and walk gingerly for about 2 weeks, however, some cats may do this for up to 8 weeks. Pet owners must accept responsibility of all possible potential short-term and long-term complications for them and their cat before signing off on this procedure. As always, if you have questions, please call or come by Belle Mead Animal Hospital and ask us! Your cat is a member of your family, and we’re here to help you make the experience rewarding for everyone. This entry was posted in General Pets, Veterinary Medicine, Veterinary Services and tagged Cats, Felines, Veterinary Services. Bookmark the permalink. ← Learn Pet First Aid and CPR – You just might save a life!